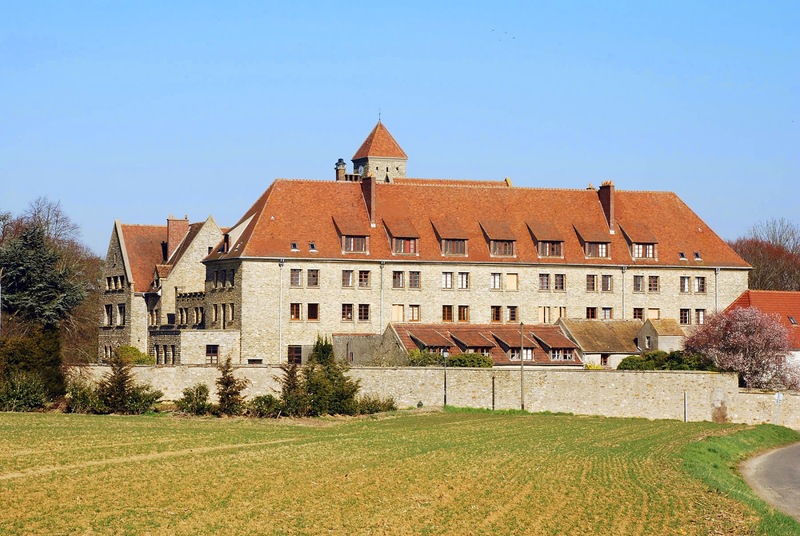 The Abbey of St Louis-du-Temple at Limon in the commune of Vauhallan near Meudon has a special connection with the last days of the French royal family. The community of Benedictine nuns was founded in 1816 by a prominent member of the exiled royal family, Louise-Adélaïde de Bourbon-Condé, daughter of the prince de Condé, and was originally located in the Temple precinct. 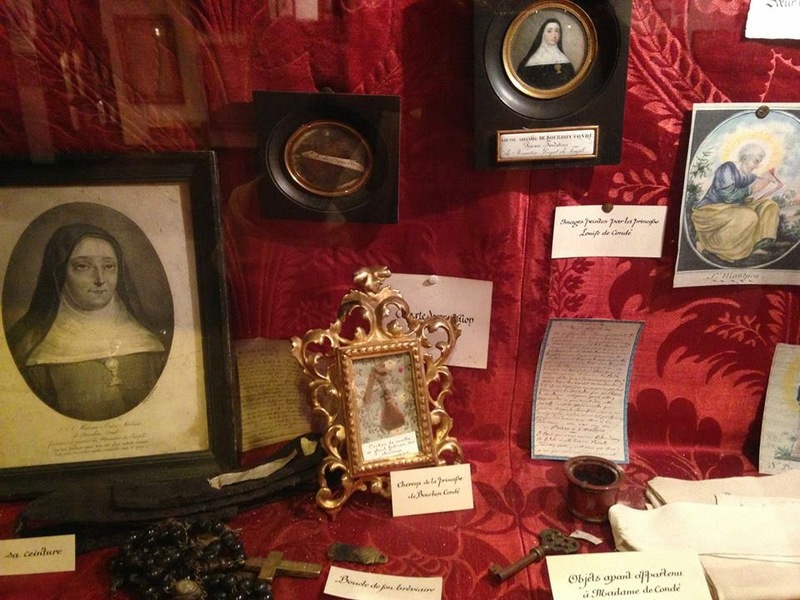 The modern abbey, which was begun in 1950, contains a small museum of prints, portraits, letters and memorabilia arranged around the foundress's tomb. 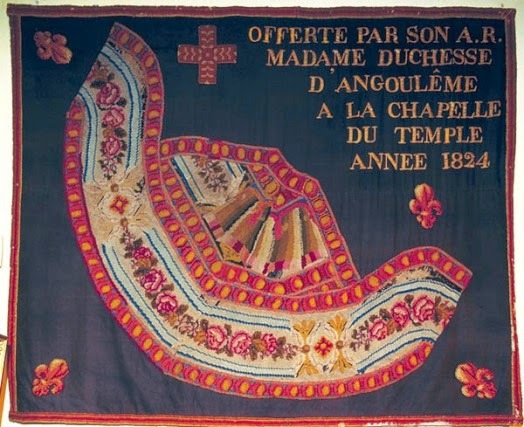 Many of them were personal gifts to the congregation during the Restoration from Marie-Thérèse of France, duchess of Angoulême. Two oils by Jean-Baptiste-Francois Battaglini, the first a copy of Danloux's painting of Louis XVI writing his Testament, now in Versailles, and the second depicting Marie-Antoinette in the Conciergerie. The two pictures were bought by the duchesse d'Angoulême at the Salons of 1819 and 1822 respectively and presented to the Convent. The work, which was intended for the Throne Room of the Tuileries Palace, was begun in 1791 and probably continued in the Temple. 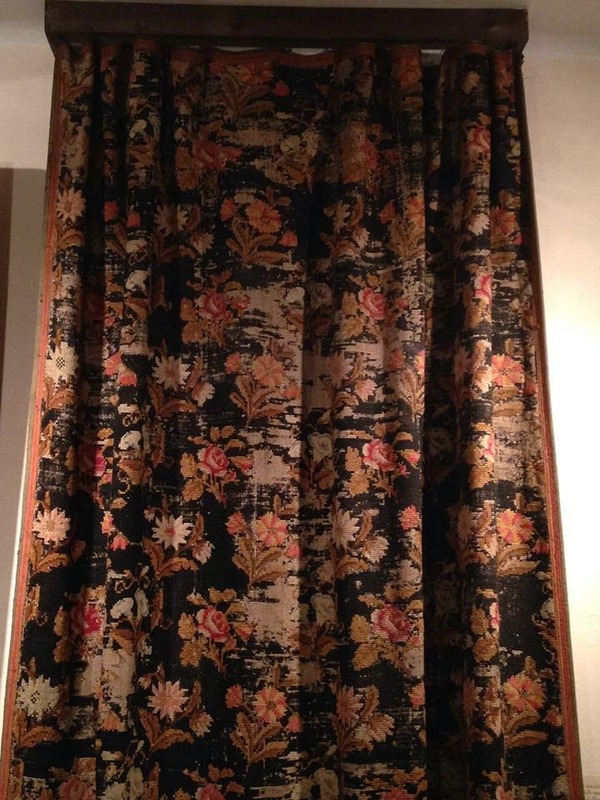 It is described as a tapisserie but it is stitched on canvas, so in English it would be a needlepoint. 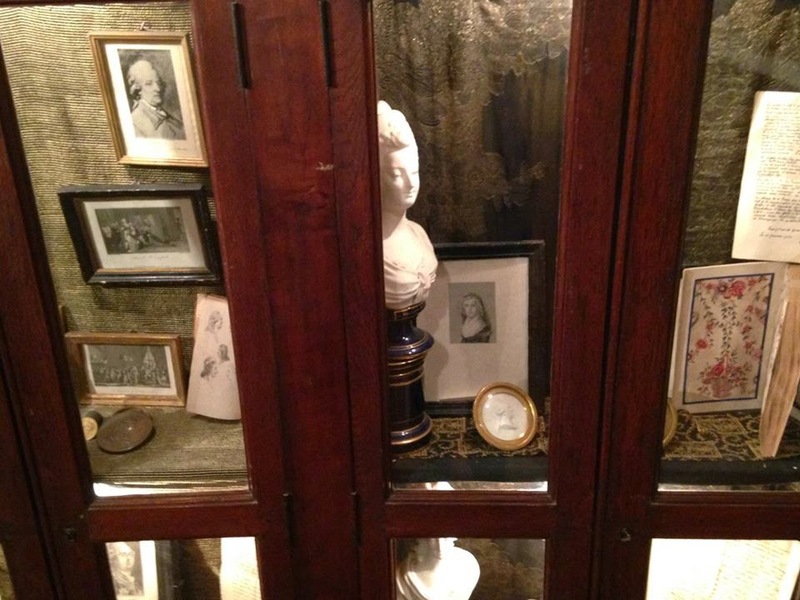 A small very well-preserved framed fragment was sold by Drouot in December 2008.